Some Amazon.com users in the US were able to grab the ultimate bargain during Prime Day, walking away with an LG G4 smartphone for just one cent. Amazon turned 20 years old on 15 July, and to celebrate, the online shopping website offered thousands of products for sale exclusively for Prime subscribers, who receive super-fast delivery in exchange for paying a monthly subscription fee that differs from country to country. From 12am on 15 July, big-ticket items such as video game consoles were on sale for 24 hours in the UK, US, France, Italy, Germany, Spain, Canada and Japan, while other products were offered for a short period of time, such as two hours, under a Lightning Deal. One of the deals being offered was a 32GB LG G4 Android smartphone in metallic grey, locked to US mobile operator Sprint, and it was mistakenly listed on Amazon.com for the princely sum of $0.01, and without any mobile phone service plan required. The LG G4 was only just launched in the US in June and Sprint usually offers the phone for free on a 24-month contract with monthly payments of $18 (£11.53). Without a service plan, the phone retails for $600. Reddit user DualAxes was the first person to highlight the error around 1am PDT on 15 July (9am BST) and many other users quickly followed suit in ordering the phone, some even ordering five in one go. Many Reddit users were sceptical that the deal worked and went to bed expecting it to be cancelled, and indeed, Amazon quickly spotted the error. Reddit users posted live text customer support chats they'd had with Amazon staff, confirming that by 9.54am PDT, the shopping site was aware of the errors and had started cancelling orders, instead offering some users gift card credits of between $3 to $25 for "lack of communication on why it was cancelled". 09:54 AM PDT Ahmar: As stated earlier, there was a pricing issue and by the time this was brought into our notice, some orders might have shipped out. The other orders which were not shipped out by then, were cancelled. Usually, online retailers are unlikely to honour transactions where a user has purchased an item listed in order, and the items are usually cancelled as soon as the company realises it has made a mistake. However, some Reddit users did receive their phones, because Amazon Prime prepares orders to be shipped out faster than regular deliveries, so some of the orders had already been sent out from the warehouse by the time the error was noticed. To be clear, if your order says "Preparing for shipment" and has said that for a while, there's a good chance that you'll still get yours. After a couple hours in "preparing for shipment", orders get to a point where Amazon won't let you cancel them. Perhaps it works the same way on Amazon's side - When they try to mass cancel the orders, the ones that are too far in the "preparing for shipment" stage are not cancelled. 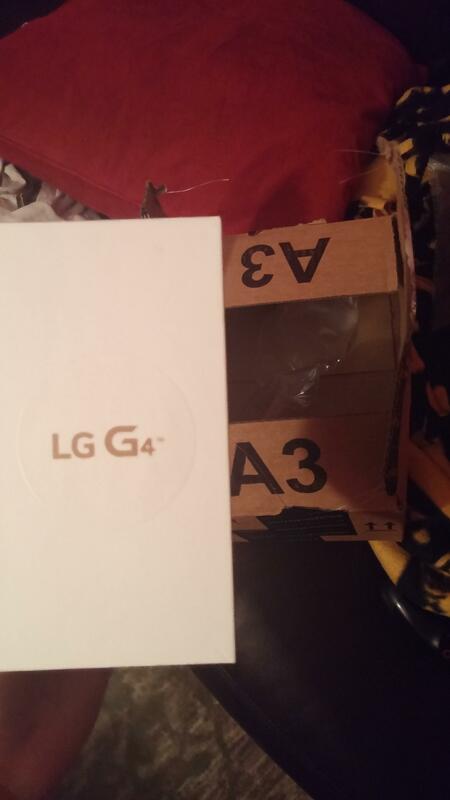 Reddit user the-end posted screenshots from his phone showing Amazon was preparing his purchase of the LG G4 for delivery at 9.30am PDT, and then at 7.30pm PDT he posted a photo of the phone's box, which he had just taken out of Amazon packaging. Many users responded that they were jealous, as their orders had been cancelled, while others blamed Amazon's customer service for acting inconsistently to people who complained. I think for many of us that ordered, it was that they didn't send out any cancellation emails; just did it. When I contacted them, I was told different things, instead of being upfront that it was a wrong price listed, I was told it was out of stock. They said no one that ordered them were getting them. When I told them some people have said theirs are shipping, they said that was "absolutely not true" and that I "was mistaken." As if I was lying to get the free phone. I obviously knew they wouldn't give out free phones to everyone. However, it was the inaccuracies and inconsistencies that were upsetting. Why are people getting random amounts of credit for the same mistake. I, and a few others, got $10 credit while others got $25 or a lot more, and some people are also getting their phone. It all just seems unfair, especially after the rest of the other deals were practically duds as well. 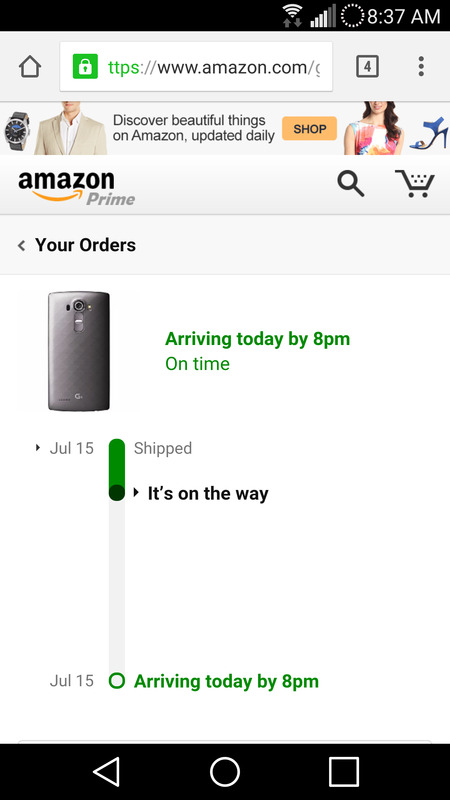 The Amazon.com listing page for the LG G4 now shows the phone is unavailable to order from Sprint but it is still being offered on the site from mobile operators AT&T and Verizon. Reddit user AcingCoder summed up the lessons learned from online retailer error bargain hunting: "
Order as fast as possible, don't wait! IBTimes UK has reached out to Amazon for comment and is waiting for a response.